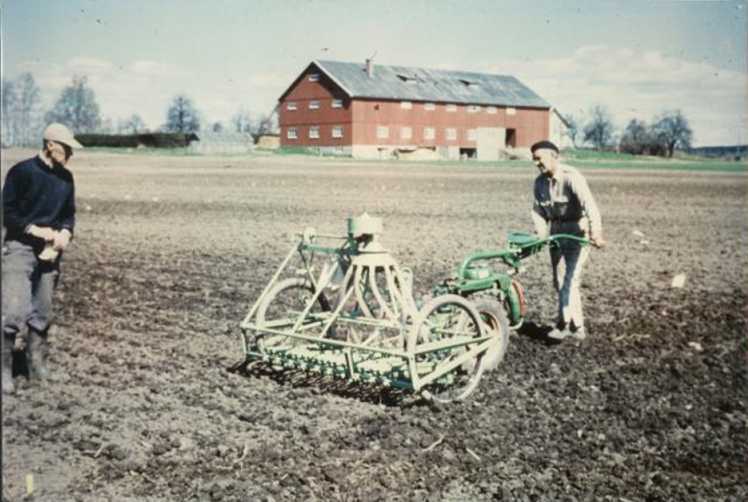 The first Oyjord plot seeder for front mounting on a two wheeled garden tractor was constructed in the workshop of the Norwegian Institute of Agricultural Engineering at Ås. It came in use at the Institute of farm crops, Agricultural University of Norway, in the spring of 1958. The results were successful, and the “Committee on Mechanization of Field Experiments” decided that research assistant Egil Øyjord should continue to develop plot seeders.